Whether you are an early bird or a night owl you won’t run out of things to do, place to go or food to eat. Before the busy day starts at 11AM you can finish all your household chores or absorb the calmness of the surrounding. After working hour, the city is still very much alive with numerous restaurants or clubs that you, your family, friends or co-workers can go to hang out and have fun. 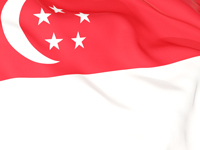 Being one of the countries colonized by the British and being at the heart of Asia, Singapore has basically shaped itself the perfect mix of western influence and the eastern roots. Singapore known as the melting pot of Chinese, Malay, Indian and Eurasian history and culture, living in Singapore won’t feel like you left home. With the wide range of international and Asian cuisine, official policies that promotes multiculturalism, their four official languages (English, Mandarin, Malay and Tamil) you won’t feel like an outsider and you will definitely be able to adjust in no time. Aside from these factors, even with the popular identity of Singapore being a clean, green and safe country is enough to put Singapore on the top of your list of countries that you want to migrate to. It’s no doubt that living in Singapore will be a blast and a the best decision you had ever made.